Place all ingredients in blender. Cover and blend on high speed about 30 seconds or until smooth. Serve immediately. If fresh raspberries are hard to find, substitute 2 cups frozen unsweetened raspberries, partially thawed. 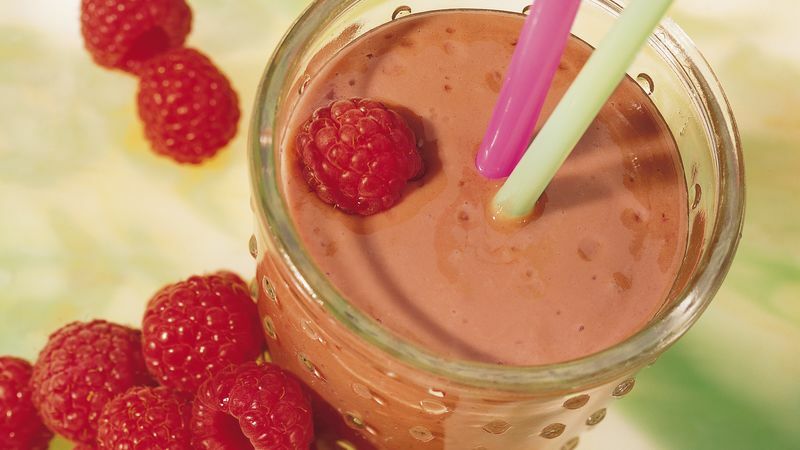 Partially frozen berries will give the shake an extra chill.